First off, let my just say how thankful I am that I get to write about whatever I want, whenever I want. More so, that you actually want to read it! 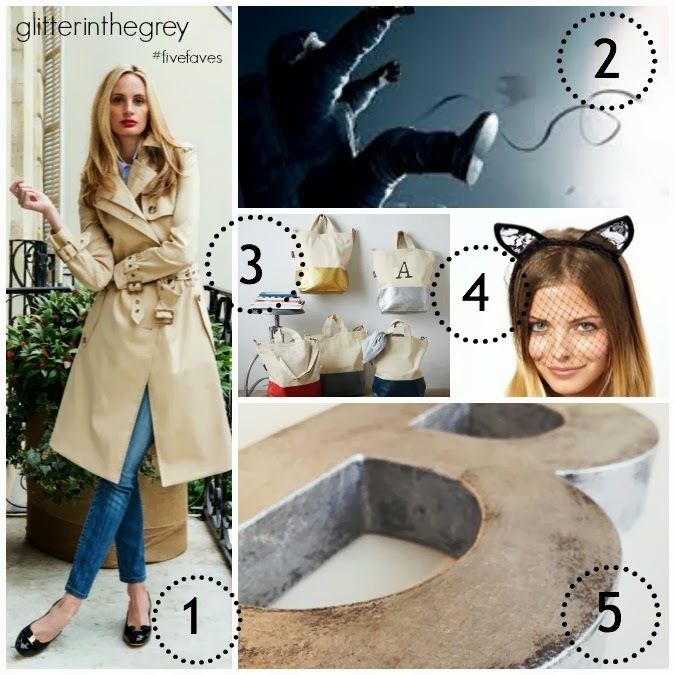 I contemplated having a weekly posting schedule of sorts for Glitter In The Grey, like outfit posts Mondays, shopping tips Tuesdays, Styling ideas Thursdays, Footie Fridays and Five Faves every weekend. But, yeah, life's stressful enough, so screw that. So...I give what I can when I can (or when I feel like it) and I don't worry about it. Cheers to you this weekend! That being said, I love Five Faves and intended on doing it every weekend, but this blog is all about fun and no pressure so...you get it when you get it. K? 1. This entire look. Lovelovelove. I found this image on Amanda Brook's blog, I Love Your Style. She has a book of the same name that I need to get. She has the best classic taste ever and this image of LSD (Lauren Santo Domingo) is just that. The perfect trench (probably Burberry, but this one's under $50), Ferragamo flats, and model looks. How could she lose? Have you seen the trailer for this movie? It stops my breath every time I see it and the cinematography looks incredible. It opened this week and it's the first movie in a loooong time I'm super eager to see, plus Sandra Bullock and George Clooney? Done. These canvas bags are under $50 (free shipping) and you can monogram them. They're durable+practical chic. Naturally I love the metallic ones, but I'd take them all. 4. It's Halloween month...get festive! I love Halloween...it's my favorite holiday to decorate for. All the black, the spooky element, not scary though. I'm also not into the cutesy factor but something about this little cat ear veiled headband is chic and cute. I kinda love it. I was shopping last week and took the image below on the left. 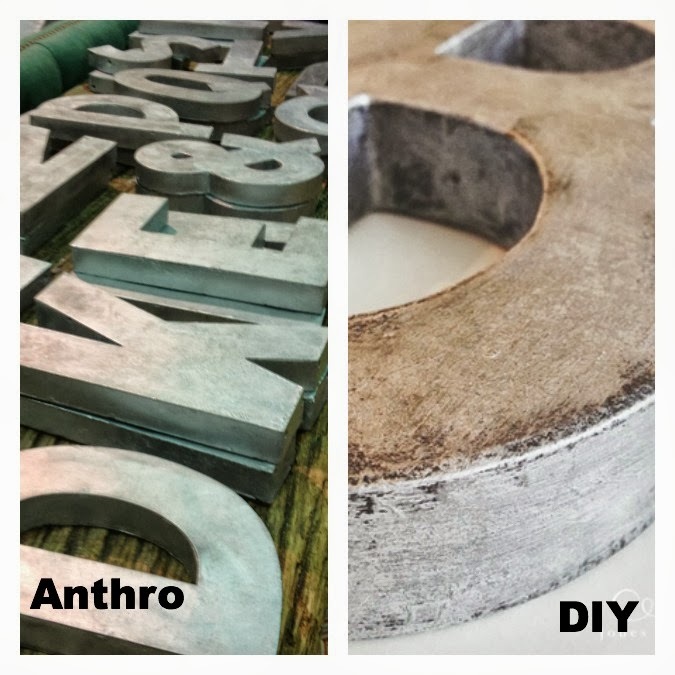 I'm inspired to do some industrial decor...then I saw this post and now I (we) can make our own. Love that.